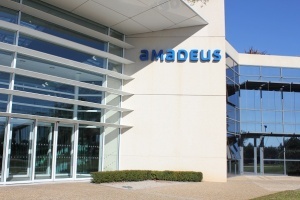 Amadeus has announced the appointment of senior business and technology heavyweight Stefan Ropers to lead its strategic growth businesses. Ropers will join the tech giant on February 1st. Most recently head of Adobe in central Europe, he joins Amadeus to drive growth across the company’s diverse strategic growth businesses portfolio, which includes its airport, rail, and payments customer units. As part of his new role, Ropers will also take on responsibility for Amadeus’ innovation function. Having started his career with Brokat Infosystems in his native Germany, Ropers has held a number of high-profile roles across the technology sector over many years. These include two general manager roles at Microsoft; first as global head of server and cloud sales, based in Redmond, USA, and then later as chief operating officer for central and eastern Europe, based in Munich, Germany. Ropers will report directly to Amadeus president and chief executive Luis Maroto. Maroto said: “During the course of his career, Stefan has developed and demonstrated significant technology, strategy and business model expertise, holding a variety of leadership roles in some of the most respected and successful companies in the world.